Two months ago, the encryption tool Cloudfogger discontinued its service. Are you looking for an alternative? We compare the features of Cloudfogger and Boxcryptor and show you how simple it is to switch to Boxcryptor. 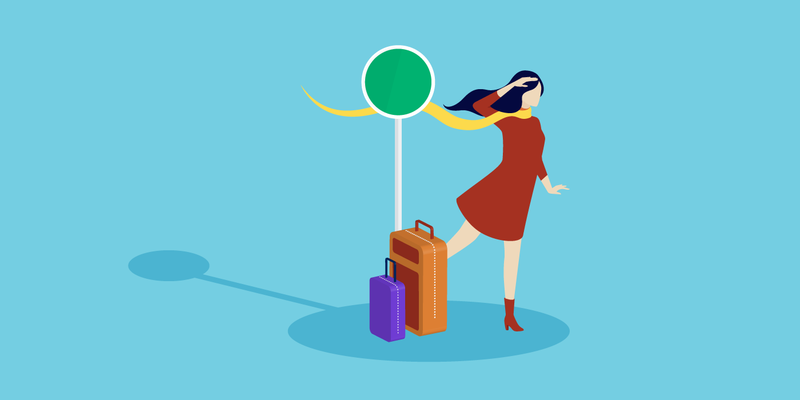 To ease saying goodbye even more, we offer a discount on our unlimited one-year-licenses. The developers of Cloudfogger recommend our tool on their website. Convince yourself why Boxcryptor is the best choice for you. Free version: encrypt 1 cloud on 2 devices. Personal or business one-year-license: protect as many clouds as you want on all your devices. Switching from Cloudfogger to Boxcryptor is simple. We will show you how to do that and how easy it is to familiarize yourself with your new cloud security program. 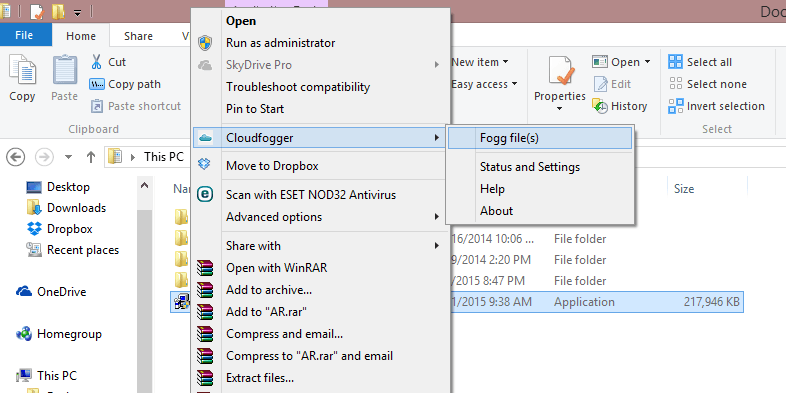 Step 1: Decrypt all your files at Cloudfogger and safe them to your local device (e.g. your PC/Mac/Tablet). Make sure that you decrypted all your files before uninstalling Cloudfogger. Since the program is not available anymore re-installing it is no option. This step is important, to avoid loss of data! Step 3: Download and install Boxcryptor and set up your account. The most important thing is: remember your password and make it a secure one! Since we are a zero knowledge provider only you know your password. If you lose it, we cannot help you. The good thing about that: Nobody but you can access your data. Guaranteed. For companies there is a Mater Key feature which allows resetting passwords of employees without data loss. But for private use and with our unlimited personal and business licenses, it is your own responsibility to remember your password. 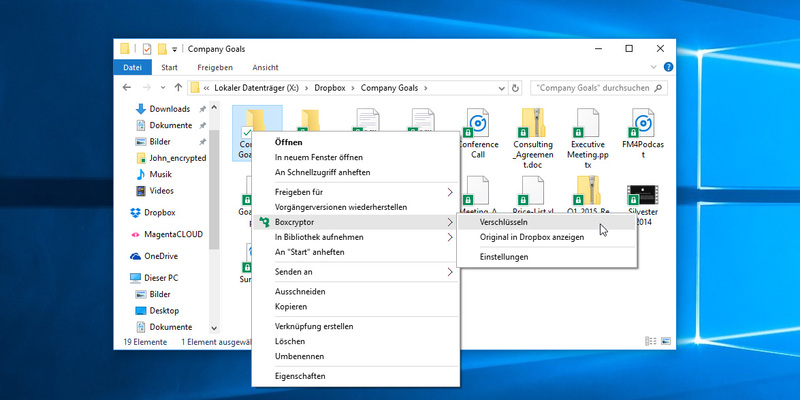 Step 1: Open the Boxcryptor drive by double clicking on the Boxcryptor icon in the taskbar, or by double clicking on the desktop shortcut. With right-click you can open the settings. Step 2: There you will find your cloud folder (for example Dropbox). Open the cloud folder in which you want to store your data. Step 3: Create the first level of your folder structure and encrypt those manually via right click → Boxcryptor → encrypt. Everything you save to or move to those encrypted folders will be encrypted automatically, before it is synchronized to the cloud. If you want to encrypt or decrypt files manually you can also do that with right click on the file/folder → Boxcryptor → encrypt/decrypt. 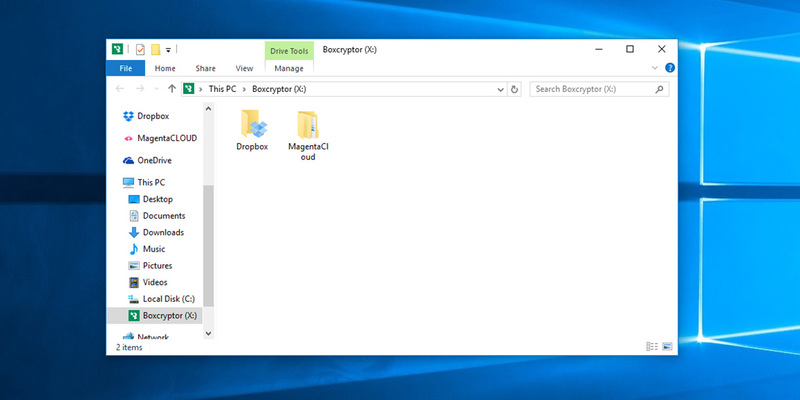 Boxcryptor is available for free to encrypt one cloud on two devices, or as a one-year-license for as many clouds and devices as you like, for personal or business use. Join the Boxcryptor community now with a 20% discount on your unlimited personal or business license. Enter the code CLOUDFOGGER20 when you order. Get the Boxcryptor Unlimited Personal here, or the Boxcryptor Unlimited Business here. This offer is valid for new customers only, until the end of August 2016.